Last Updated: January 28, 2019 | Subscribe to our weekly newsletter! Maybe you just bought a home with a pool. Or maybe you’ve moved and are looking for a new pool store near you. Or it could be that you’re just not happy with the place you go to now. Whatever the case, finding a store you can trust is paramount to make sure you can get what you need—and only what you really need—and not spend more than you really have to. Why Does a Good Pool Store Matter? For the same reason a good plumber, electrician, or mechanic matters. Whether you rent or own a home with a pool, it’s highly likely you’re going to live there long enough to spend hundreds, possibly thousands of dollars on pool maintenance. Pool supplies can be expensive. And even the ones that aren’t usually aren’t just one-time buys. One item may only cost a few dollars, but if you need it on a regular basis, that adds up and quickly becomes a large expense. Just like you don’t want to be taken for a ride by any of those other professionals, you want to know that your pool store is doing right by you, giving you good information, and helping you save money even while they’re selling you supplies. The key is to know how to recognize what makes a good pool store you can trust. What Makes a Good Pool Store? A lot of the usual features that make any retail locations enjoyable places to shop also apply to pool stores. Convenient location, wide selection of products and brands, reasonable prices. But when you’re looking for your go-to pool store, you’ll want to take a few other things into account. Look, the goal of any business is to turn a profit. If they don’t, they can’t operate, and they close. So while a pool store can make money by selling you the pool supplies you ask for, they can make more money if they sell you pool supplies that are either more expensive than the ones you ask for. They can also make more money if they sell you some sort of add-on or upgrade to what you’re buying. That’s an upsell. For example, say you go to your local pool store for chlorine tablets If you click this link and make a purchase, we earn a commission at no additional cost to you. . Since you’ve had a pool, you’ve just been adding the tablets to the skimmer, and that works just fine. But why do that when you can buy an automatic chlorinator If you click this link and make a purchase, we earn a commission at no additional cost to you. ?! Ooh, shiny! Now, we’re not knocking chlorinators. In fact, we think they’re a superior option to putting tablets in your skimmer. And you can’t fault the salesperson for trying to get you to spend a little more money. Plus, sometimes an upsell can introduce you to a truly superior product and something that will help make your daily pool maintenance easier. It becomes a problem, though, when they either just won’t take no for an answer and hound you about making additional or more expensive purchases, or you have to go through this song and dance during every single trip to the store. That’s not seeing you as a valuable customer. It’s seeing you as the latest sucker to walk through the door. It may take a few visits to different pool stores, but look for the one that goes easy on the upsell. That takes no for an answer the first time. That offers you truly helpful add-ons that perform necessary functions, or that will make your life easier, not just bells and whistles that cost more. That’s the pool store you can trust. When you walk into a pool store to buy supplies, you either already know what you need or you’re still learning, but in either case, you may need a store employee to help you get what you need. In either case, it’s possible that an employee may try to oversell to you. What do we mean by this? Sell you things you don’t need. Chlorine? Yes. Shock? Absolutely. Test strips? Well, of course. Phosphate remover. Hold it right there, buddy. 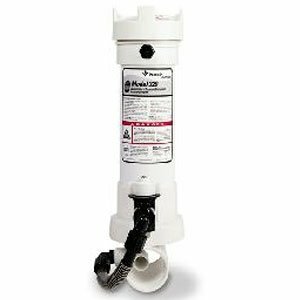 You will not find a shortage of supply options at your local pool store. But the truth is, you don’t really need every single type of pool chemical available. Let’s say you walk into a pool store and you tell an employee you’re there to stock up on basic pool chemicals. They’ll ask you a few questions in order to help you find what you need. Do you have a salt water pool, or is it chlorine? Or bromine? Are you out of test strips? 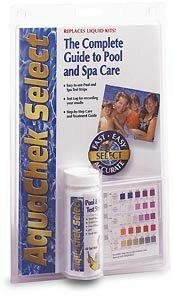 Have you tested your pool for phosphates? Wait, what? You haven’t tested your pool for phosphates?! Holy algae food, Batman! You’re just inviting trouble! You can’t have phosphates in your pool because that’s what algae eats. Do you want algae in your pool?! DO YOU?! Here, let’s load you up with some phosphate remover. You can’t possibly leave the store without it! Actually, yes you can. You don’t need phosphate remover. Phosphates in your pool are not the problem some pool stores would like you to believe it is, simply so they can sell you one more chemical and make a little more money. This is just one example. The point is, even if you’re new to pool ownership and you’re trying to rely on a pool store to help you stock up on necessary supplies, don’t take everything a store employee tells you as gospel. Listen to them, but then do your own research. Learn what you need and what you don’t. And then if that pool store employee continues to try to sell you things you now know you don’t need, look for a new store. Find one where the employees give you balanced information. Learn which ones are providing honest guidance, and which ones are merely making sales pitches. Yes, it will take some time and some reading on your part. But it’s just like home ownership. Keeping things in good repair and the best working condition is up to you. Part of your quest for a preferred pool store is comparison shopping. Before you buy anything, stop by a few and make note of the prices on the items you’re looking for. Some pool stores may have their stock available online, which will allow you to compare costs without even leaving your house. But for the ones that don’t, it’s worth making the trip to see what they’re charging for basic supplies. Once you’ve checked prices from a handful of stores, you should be able to see which ones are charging around the same, and which ones are marking way up. For example, if three pool stores are charging $14 for a set of test strips If you click this link and make a purchase, we earn a commission at no additional cost to you. , and one store is charging $20 for the exact same set, why would you buy them at the more expensive store? The short answer is, you probably wouldn’t. But you’ll want to take a couple of other things into account. Maybe the more expensive store is where you get straightforward guidance on your purchases, and where the employees don’t try to push you to spend more, especially on things you don’t need. So maybe they’re charging a little more for merchandise so they can offer better wages to their more experienced staff. But if the converse is true—the more expensive store is also where the employees practice arm twisting to get you to spend more—then your decision should be a simple one. You know what you’re looking for. Now what do you do to find it? You’re on a journey to find a trustworthy pool store. First stop? A search engine! Searching for things like “pool store near me” or “pool store in [your city]” should bring up results of, well, the pool stores in your city. Next, visit their websites, and look for a few pieces of information. How long have they been around? If a store is an established local fixture that’s been in business for several years, it’s a good bet they’re doing something right. But don’t be too quick to write a store off if it just opened. That store will be trying to establish itself and win customers’ loyalty. It’s the time to create relationships with the staff so that when you come in, you’re treated more like a friend than a customer. That is, if the store is doing it right. How many locations do they have? Some chains, no matter how big they get, still manage to offer excellent customer service and a good shopping experience. Not often, but it does happen. But sometimes small businesses are better at providing personalized service, which can be a big help to you if you’re a new pool owner. You may also feel better about supporting local small businesses rather than huge corporations. That’s totally up to you. No judgment here. How much information is available on their site? Some businesses are better than others at establishing an online presence. But it shouldn’t be that way. At this point in our internet evolution, all businesses should a) have a website, and b) provide every piece of information potential customers need on that site. The three main things to look for are the pool store’s address, hours, and phone number. You have to know where you’re going, when you can go, and to be able to get in touch with them. The site may also list the brands the store carries, which will let you know what kind of quality and variety they offer. This can be especially helpful if you have a few brands in mind for the supplies you need. And they’re really doing it right if they list the products they carry. This kind of information can save you from wasting your time driving out there only to find they don’t have what you need. They may also include crucial information like their return policy. It’s good to know what can and can’t be returned, particularly because some chemicals and other supplies can be expensive. Better to know what your options are before you spend the money. After looking through a bunch of pool sites, you’ll likely have a list of contenders. Then you’ll move on to the next step. Once you know which pool stores are well established, service focused, and carry what you need, finding out what kinds of experiences other pool owners have had with them can help you further narrow down your options. A word of caution, though. Well, a few words, actually. Not all reviews are created equally. We hate to sound cynical, but some businesses publish their own positive reviews (and usually get busted for it), or get friends and family to do it for them. Some larger companies even hire people to produce positive reviews to falsely inflate their ratings. Now that we think about it, we’re not being cynical at all because this really happens. All the time. Aside from any dishonest activity like that, though, have you read some of the reviews online? They’re not always, shall we say, helpful. If you’re lucky, you find one written by a person who used a reasonable tone of voice, and fairly reviewed the service they received, or the business they visited. Sometimes you get someone who likes to review IN ALL CAPS because THE RESTAURANT DOOR OPENED INWARD INSTEAD OF OUTWARD! Or maybe the HAIR SALON WASN’T OPEN AT 3AM WHEN I NEEDED MY HAIR CUT! Or perhaps THE POOL STORE ONLY HAD SODIUM CHLORIDE! BUT I NEEDED SALT! In other words, reviews that don’t really help you determine the quality of a business and its customer service. Those reviews are pretty easy to spot and disregard. So how do you navigate online reviews and use them to your benefit? Take five-star reviews with a grain of salt (or sodium chloride). Good reviews are, well, good, but usually don’t really give you much useful information. Look at the distribution of reviews. Nothing but five stars? Could be accurate. Or it could be fake. One possible indication? A reviewer whose profile is brand-new, and/or only has that one review. Look at the one- and two-star reviews. Once you’ve thrown out the ridiculous complaints, look for patterns and trends. Ten people say a certain employee was rude? Or that they were overcharged for the same item? Pay attention. That’s an indication of accuracy and a place to avoid. Check how the business responded to negative reviews. This is even more important than the reviews themselves. Did the business come back with, “Yeah, well, you know what YOU did? !” That’s completely unprofessional. Did the business ignore the negative reviews? That’s not quite as bad as arguing with the reviewer, but it’s not good, either, especially if they’ve responded to their positive reviews. Did the business say something like, “Thank you for bringing this issue to our attention. We’re sorry you had a poor experience in our establishment. Please get in touch with us directly so we can make it right.”? That’s a place you want to give your business. They’re acknowledging their faults, taking responsibility, and trying to do better. Check the number of reviews. Has the place been open for ten years, but it only has two reviews? Could be that no one’s been impressed enough to rave about them, but also could mean that no one’s been angered enough to leave a negative comment, either. Conversely, have they only been open for a week, but they already have 298 glowing reviews? Yeah, something could be up there. Internet reviews can be helpful as long as you look at them with a critical eye, and don’t believe everything you read without other corroborating sources. That goes for the whole internet, not just the reviews. Even with all the technology we have at our disposal these days, personal recommendations are still the best way to find not just a good pool store, but anything, really. Hearing directly from a friend, neighbor, coworker, or acquaintance that they had a good experience with a retailer or product means you’re getting a true assessment. Again, keep a neutral perspective, though. If five of your friends tell you this one pool store is great, but one had a bad experience, that could’ve been a fluke or just an off day for someone. But if that one friend had an experience that mirrors bad reviews that indicate a trend, it might be something to pay a little more attention to. It doesn’t matter how many reviews you read, or how many people you talk to, the only way to know for sure that you’ve found a pool store you can trust and want to use is to visit it yourself. Be on the lookout for those issues brought up in negative reviews or by unhappy friends. But also keep an open mind. Something that bothers your neighbor may not be important to you at all. Visit a few pool stores, talk to the employees, make a few small purchases, and then assess your experiences. It’s the only way to be sure that you’ve found the place for you. It’s perfectly reasonable to expect a lot from your pool store, a place where you’ll be spending quite a bit of time and money. But also remember that having and caring for a pool requires a lot of time and dedication on your part, too. The pool store can help you find things you need, and even give you some advice, but the actual maintenance is up to you. 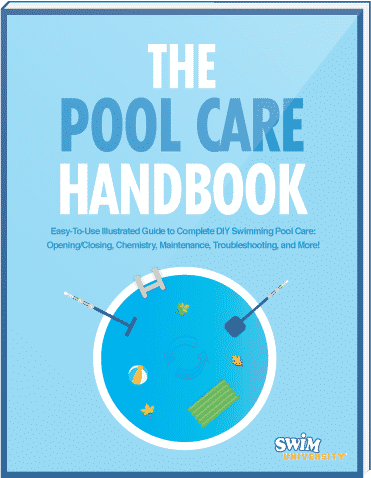 Take time to educate yourself about your pool and the supplies you need to keep it clean, sparkling, and swimmable, and your pool ownership will be much easier and a lot more fun.